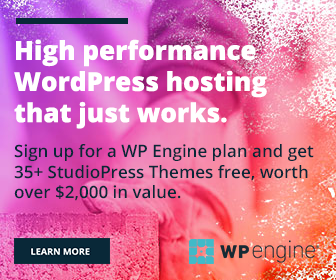 We know how to show or hide WordPress page contents at a specified time. The tool is very helpful for the event bloggers or if you are running giveaways on the site. It lets you manage the visibility of a post content by date and time. In this post, we’ll tell you how to show or hide widgets by date and time in WordPress. Install and activate Widget Visibility Time Scheduler plugin in your blog first. It allows you to set the period of visibility for each of your sidebar widgets. After activation go to Appearance > Widgets and open each widget to manage its visibility. 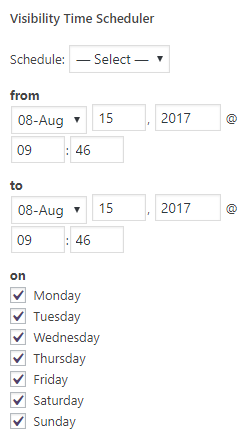 Choose Show or Hide from the Schedule drop-down menu. Set the time period and days. The schedule feature is useful for seasonal promotions, events, live chats and other time dependent contents.